Venezuela's acting president Nicolas Maduro has claimed the CIA and the Pentagon are conspiring to kill his main competitor in the upcoming election and pin the blame on him. He urged US President Barack Obama to stop the plot. Maduro cited “a very good source” as to why he believes such a conspiracy exists. 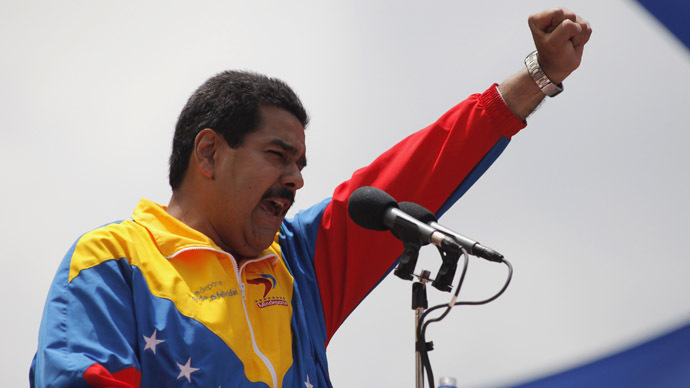 "I call on President Obama – Roger Noriega, Otto Reich, officials at the Pentagon and at the CIA are behind a plan to assassinate the right-wing presidential candidate to create chaos," Maduro said in a TV interview broadcast on Sunday. 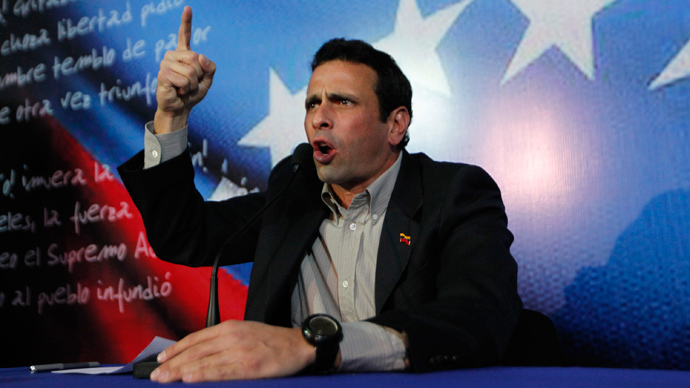 The acting president first mentioned the alleged plot to kill his rival, Henrique Capriles, last week. Former Bush administration diplomats Noriega and Reich both dismissed the claim as defamatory and untrue. Capriles kicked off his opposition campaign in Venezuela’s provinces ahead of the April 14 election. He said if anything happens to him, Maduro should be blamed. During his years in office, late Venezuelan President Hugo Chavez often accused the US of conspiring against his country. 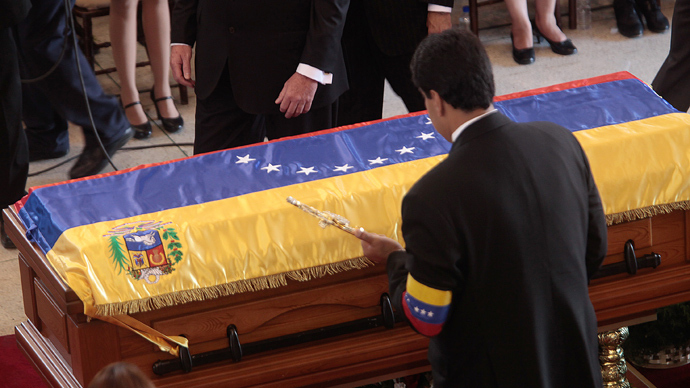 He blamed Noriega, former US ambassador to the Organization of American States, and Reich, former US ambassador in Caracas, of seeking to destabilize Venezuela. Maduro is the preferred successor named by Chavez ahead of a cancer operation from which he failed to recover. Capriles was the leading opposition candidate in the previous election, which he lost to Chavez. The ongoing campaign has been marked by a particularly nasty atmosphere, with both camps accusing each other of dirty tricks, and Capriles and Maduro trading personal insults. 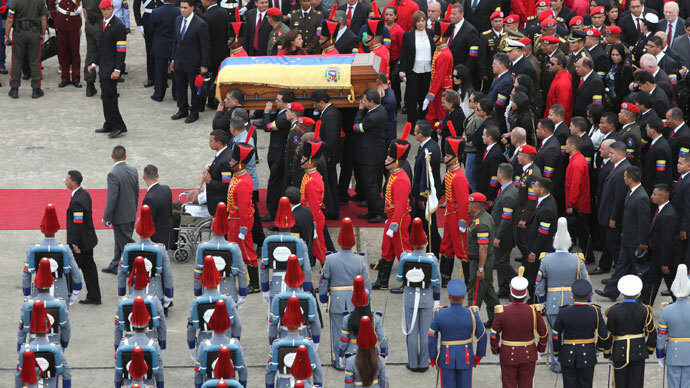 Two polls taken before Chavez’s death on March 5 showed Maduro ahead of Capriles by around 10 percentage points.